Will Ballmer’s successor be expected to toe the line and execute on the exiting CEO’s vision and strategy, or will the replacement get some leeway to rethink the current plans? A sweeping and controversial corporate reorganization plan was one of Ballmer’s last major moves before announcing he would retire at some undisclosed point in the coming year. While the wheels are already turning on the implementation of the changes, it’s very possible Ballmer will be gone before the process is complete. Since Ballmer’s reorganization has the blessing of the board, one would assume that the incoming CEO will be told to carry it out without major revisions. However, the reorganization plan hasn’t exactly prompted a consensus endorsement from outside observers. After all, it seeks to unify the company even more than it is today, mesh all of its parts and make sure that, for example, the Xbox team is aware of and has input into what the SQL Server team is doing, and vice versa. 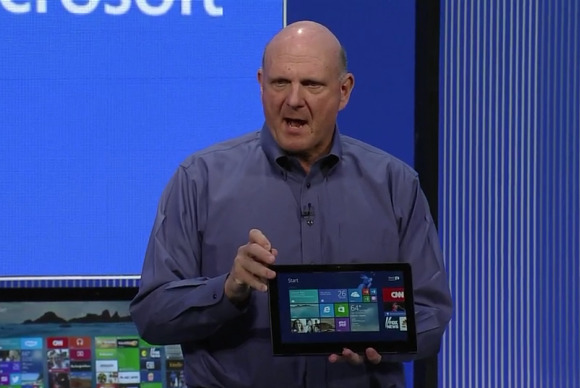 Ballmer calls this the “One Microsoft” vision. The problem here is that many believe that’s the wrong direction to take in order to fix Microsoft’s problems and make it more agile when innovating and responding to market opportunities. This camp thinks it would be better to infuse more autonomy into the company and possibly even spin off some of its parts, because the product lines have become too diverse to be contained in the same corporate bottle. What if Windows 8.1 doesn't catch fire? What does Microsoft plan to do from a product perspective if Windows 8.1 and the second-generation Surface tablets fail to ignite enthusiasm? Windows 8 and the Surface tablet were not a hit and that is a big problem for Microsoft, which is rushing out a major update for the OS due in mid-October and is also working on a second generation for the Surface tablets. Windows 8.1 is expected to address the main complaints lobbed at its predecessor, whose radically redesigned Modern user interface freaked out many consumers and IT pros. Likewise, the new Surfaces—both the RT and Pro models—are supposed to be faster, more battery efficient and all around better. However, it’s not entirely a sure thing that Windows 8.1 and the Surface 2 tablets will be able to undo the damage, in which case Microsoft’s tablet problems remains: Windows and the company will still be chasing on foot the runaway train of tablet sales that Apple and Android vendors have been riding to the bank for several years. In that case, what is Plan B? Would Microsoft be open to rethinking its OS strategy? Some people feel it was a strategic mistake to attempt to have one OS that works both on PCs and tablets, because Microsoft may have ended up with one that isn’t good enough for either. After all, Apple has done very well having MacOS for its desktops and laptops, and iOS for its tablets and phones. Oh, as long as Ballmer and company are addressing this question, it’d be great to get an update on the grand plan to unify Windows Phone 8 with Windows 8 to have a common, uniform OS code base from the phone through the server. Is that a pipe dream? Is it even wise? Implementation of Ballmer's reorg plan? How long will it take for Ballmer’s reorganization plan to be completely implemented and when will its stated benefits begin to be felt? Sweeping corporate reorganizations are often counterproductive. They can interrupt the flow of operations, create internal confusion and resentments, and trigger doubts among major customers, ultimately hurting sales and product development. There are many examples of restructurings announced with great hope that ended doing more harm than good. Ballmer should be specific about the timetable for completing the reorganization and about when customers, partners and investors will start to see its first fruits. He should also provide an update on how the acquisition of Nokia’s smartphone business will affect that reorganization plan, possibly complicating it and delaying its completion. Will Microsoft offer Office for iPad and Android? With investors chronically antsy about Microsoft’s stagnant stock price, Ballmer should explain Microsoft’s latest thinking regarding offering a full Office suite for the iPad and for Android tablets, an issue that is perennially on the table. Microsoft’s reticence at doing this has been explained as a defensive move to protect Windows. However, it’s also true that Microsoft is leaving a lot of money on the table by not providing what millions are clamoring for. It may be time for Microsoft to revisit whether withholding Office from iOS and Android tablets is still justified in order to prop up the value of Windows.